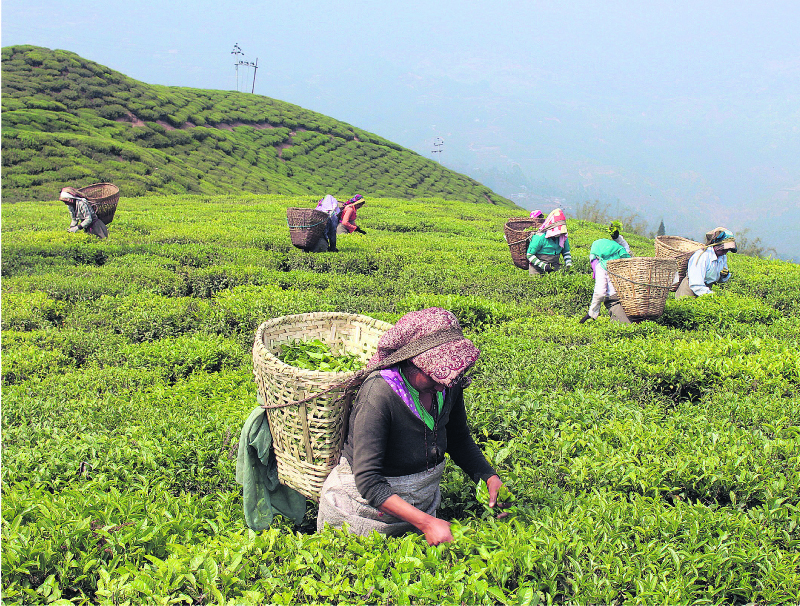 Tea farmers and industries face acute crunch of labors during the peak season every year. In lack of adequate labor force, they have also been hiring workers from outside Ilam and some times from India. “It is not just my story. Every tea farmer gets worried during this peak tea harvesting season. We have limited time to harvest the leaves and if we don't get the required human resources, it hurts our business,” he said. 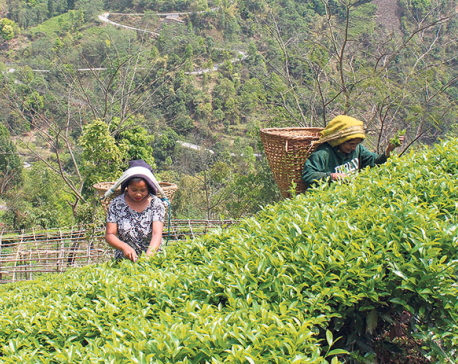 In lack of domestic human resources, tea estates hire Indians to do the job. But hiring them is costlier as they have to pay for their accommodations and food. “We try to satisfy them as much as possible. Since they come from remote Indian towns, we have to pay for their living costs, and that's a huge financial burden,” he said. Peak tea harvesting season is considered to be during May to October. After harvesting these leaves are processed, packed and sent to market. For doing all these, the tea factories require huge number of human resources. If they don't have the manpower to perform all the procedures, it affects their business. “Tea business in Ilam has been actually suffering from human resource crunch since the last few years,” Chapagain stated. For picking tea leaves his estate requires 70 people but so far he has been able to find not even half the required number. “I have been searching rigorously for hiring the required number of laborers. But even after offering good pay, I am not finding people who would do the work,” he said. Elaborating further on taking such risks, he stated that tea farmers like him have to get the tea leaves picked up on time and considering the labor crunch they don't have options other than to concede to the conditions that potential labors put forward. “Tea leaves become useless unless picked, processed and packed on time. So, we have no choice other than to be flexible on our hiring terms. In case of this laborer I had to give him Rs 50,000 before hand so that they he could pay his debt and work for me,” he said. He has been even providing residential quarters to some of the labors working at his estate as they were unwilling to work in lack of it. “The problem is that the new generation does not want to work in the field. They take it as low class job. I have been paying over Rs 10,000 per month for six hours of work a day. And when you try to persuade them to work for you, you have to pay them more because it's not them but you, who is in the need,” he stated. There are around 50 big and small tea factories in Ilam. Labor crunch is an issue for them all during both monsoon and winter season. According to locals, most of the labors have gone abroad in search of better income. However, it is not only the tea production that has been hit by the lack of labors. According to locals, production of other crops such as maize, cardamom and ginger is also affected by it. “There are no people to work in the farm. Then who would grow crops, vegetables?” wondered Teknath Neupanne, a farmer from Sumbek. “Huge swathes of land have remained uncultivated in lack of people willing to work on them,” he lamented. According to Dilli Khanal, who is into real estate business, lack of labors has affected even his business. “I bring labors from India. Just imagine how much more I have to pay to them,” he said. “Generally I pay Rs 700 per day to a labor, but when I have to hire Indians I have to pay upto Rs 1,200. 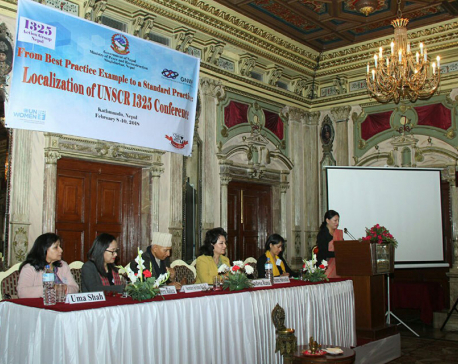 And currently, I have only a few Nepali labors, all others are Indians,” Khanal stated. As per the data of the District Administration Office, around 40 people apply for passport every day.